Go-carts, Dune buggies and 4X4. enforcement teams. Providing the required safety course aids law enforcement. create a positive image for Off-Highway vehicle use in the area. surrounded by BLM land. There is only one neighbor. video on the desert ecosystem. any possible soil contamination from some trash. Soil protection is also achieved through the regular maintenance of Ohv’s. encourages riders to eliminate irresponsible OHV use. accompanied by and under the direct supervision of a parent or guardian”. achieved through maps and information stations. etiquette, the applicant will promote safe and responsible use. changes promoting sage and responsible OHV for generations. 2. The project will address OHV-related safety and/or education issues. efforts through Ham radio operators at the project site. presence of ravens which helps protect the Desert Tortoise. Education/outreach includes handouts and public service announcements. bike school, adventure trail and Tread Lightly interpretive programs. safety, quarry, sand and gravel pit OHV safety awareness. provide input to these issues. These symposiums also include the bat program. commitment of proactively addressing OHV Safety Education. activities and curriculum is used to implement computerized outreach education. Organization and IRS audits for the past 3 years. are very competent and qualified to carry out this project. "State of California OHNVR Division Grant DRAFT PROPOSAL for review and Public comment"
Funding educational programs provides outreach education to the public creating a positive image for OHV use leading to the protection and enhancement of OHV opportunity. Discover the rewards of responsible recreation (family activity, safe alternative to drugs and alcohol, mentoring for younger riders to comply with state law, creating a positive image for OHV use, service to the community, volunteer opportunities). The results reduce user conflict, enhance the recreational experience, protect habitat and environment, protect residents, private property and landowners adjacent to OHV recreation from noise, trespass and property damage, eliminates illegal riding /trespass prevents off-route travel, increases safety and awareness of rules, provides opportunity and eliminates irresponsible OHV use. 1 .These results are solutions to problems and conditions needed to enhance and protect OHV opportunity and natural resources. OHV recreation creates a large economic impact vital to our financially depressed local economy. Our community needs and relies on the positive image of OHV recreation. It is imperative projects like these are funded to help the local economy. The County recognizes the need for the project, as they have required it. Gold Rock Outdoor Schools does not know of any other place in Imperial County where this is required as part of a conditional use permit. There is a need for Gold Rock Outdoor Schools to partner with this business to solve a potential condition of lost OHV opportunity and ensure County compliance in keeping this area open for OHV visitors. 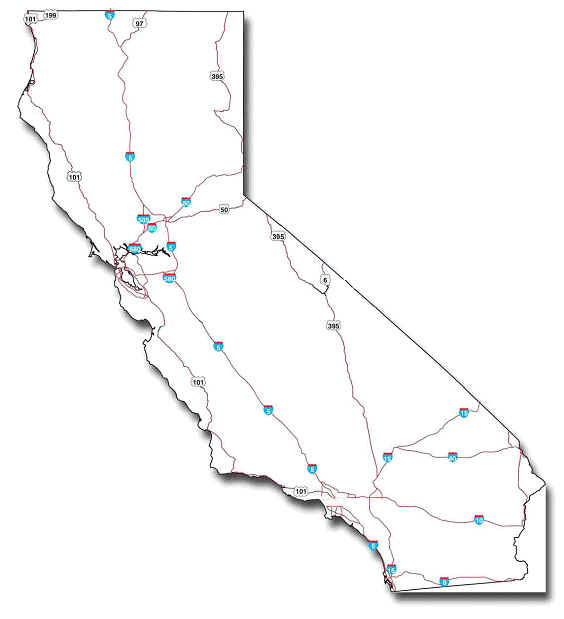 With out the support of the State of California Off-Highway Division our program would be non-existent. The project addresses these additional problems and conditions through specific curriculum and activities. The application is for the delivery, implementation, and dissemination of OHV Safety and Education material. Content of the educational material to be used for the project include tested and proven OHV training curriculum supplied by the ATV Safety institute “ATV Ridercourse”, The MSF “Dirt Bike School”, USFS “Trunk Program”, NOVCC “Adventure Trail” and “Tread Lightly” . Programs from the Minnesota Department of Natural Resources, Idaho Parks and recreation and State of Utah will be reviewed as an online home study course to offer as a pilot program for OHV computerized training. Gold Rock Outdoor Schools will offer the “Recreational Leadership Training Course” through “Del Albright’s Website” “Desert Tortoise Natural Area Virtual Field Trip” by the Desert Tortoise Preserve Committee, a 6 minute video overview of riding tips from AMA Supercross stars Ricky Carmichael, Chad Reed and Kevin Windham, Desert Ecosystem: 21 colorful pages of desert plant and wildlife information for the elementary school student and other online activities and curriculum to implement computerized outreach education. New Programs being introduced in partnership with the State Resource Agency include “Discover Bats” and “Stay out stay alive”. These programs help OHV users develop an appreciation for the open mine shafts and caves in our riding areas to protect and enhance riding opportunities and increase safety and awareness. The main base for our OHV School is located about 11 miles from the Imperial Valley Sand Dunes Recreation Area at Gold Rock Ranch in the South East Corner of the State. Other training locations will include sites previously designated through our partnerships with other agencies such as California State Park Riding areas, BLM training sites and other established sites set up through the ATV Safety Institute and the Motorcycle Safety Foundation. The deliverables will contribute to the delivery of safe and/or environmentally responsible operations of OHV’s and solve problems and conditions through protecting natural resources while accommodating diverse recreation. Funding will be used to diversify methods of delivering the information to include internet, school presentations, outreach (getting word out about OHV use in general), attending special events, evening camp fire programs, interpretive programs, self guided story boards, technical training, PSA ”s and partnerships with Pal programs, CORVA ,Parks and Recreation Departments and other civic agencies. 2. The project delivers the required OHV training and creates opportunities for riders to comply with state law providing supervision and certification. OHV opportunities are enhanced through hands- on training of OHV’s and maintenance clinics, classroom programs, the MSF Dirt Bike School, NOVCC Adventure Trail, and Tread Lightly interpretative programs. Inspection stations foster volunteer compliance for noise, vehicle safety, spark arrester, required equipment, registration and provide first Aid. Our stations have provided water for BLM, Border Patrol, and Sheriff’s Dept. the project has saved lives of many undocumented residents and located remains of others. Volunteer participation enhances our project through mentoring and supervision of safe and responsible OHV recreation and provides aid in natural disasters and search and rescue through our Ham radio operators at the project site. The results of this behavior reduce user conflict by protecting wildlife, private property and landowners adjacent to OHV recreation from noise, trespass and property damage. Combining environmental awareness curriculum and mentoring legal use of trails and riding areas instills environmental ethic and safety consciousness enhancing the OHV opportunity and protecting natural resources. The elimination of illegal riding, trespass and off-route travel may be achieved through maps, information stations. Gold Rock Ranch is the State historic marker for the TUMCO Gold mine and provides tourist information, maps, museum displays, photo displays and historic presentations for the old Ghost town through this project. Students and visitors have the opportunity to learn about the rich gold mining history of the area to further foster appreciation for natural resources. The project fosters conscientious use by personal contacts. Meeting and greeting users with a cold water bottle reminds users of our natural resources and the necessity to protect them. Volunteers deliver water bottles with an abundance of educational material, handbooks, public service announcements and other information wrapped around the bottle. The project applies sustainable recreation concepts to practical use with tangible results. 3. The project is designed to provide for efficient use of funds. The project site at Historic Gold Rock Ranch averages 100 daily visitors and is open more than 200 days annually resulting in about 20,000 annual visitors. Gold Rock Ranch accommodates over 200 overnight visitors. Various collaborations, using community facilities and support, allow for an efficient use of funds. Gold Rock Outdoor Schools has a proven track record of providing OHV opportunities at Gold Rock Ranch in collaboration with the American Sand Association, MCAS Search and Rescue, Border Patrol, Amateur Radio Association, BLM, State of California Parks and Recreation, Quechian Indian Tribe, Palo Verde School District, El Centro Parks and Recreation, Arizona State Parks, other non profit agencies, local businesses, schools, This year Gold Rock will utilize geographical co-coordinators to further enhance OHV opportunities. The national programs delivered through this project have tested and proven curricula ensuring quality educational material and are supported by Honda, Kawasaki, Suzuki, Yamaha, and other major manufactures of specialty vehicles. The methods are tested and proven to benefit many educational programs. The model is outcome-based and tracks progressive skill-building, learning experiences and developmental assets. The program is designed to strengthen cost effectiveness by building capacity through technical assistance, shared resources, training and equipment. . Volunteers complement the work of staff reducing costs. Leadership responsibilities are shared throughout the entire group providing for an efficient use of funds. Computerized training is being piloted to reduce OHV funds need for the project. 4. a. Gold Rock Outdoor Schools was formerly Camp Fire USA. All members, personal, address, phone numbers have remained the same. The name changed was in part implemented to provide more efficient use of funds through the reduction of national fees and the increase in State jurisdiction. b. Fiscal accountability with similar grants shows a positive track record over the past 6 years. The Volunteer Trail patrol helps to prevent or eliminate illegal riding or trespasser and encourages riders to eliminate irresponsible OHV use by empowering riders to act responsibly. This includes trash cleanups. Trash cleanups help discourage the Ravens which are a natural predator of the Desert Tortoise. Reducing the presence of the Raven helps protect the Desert Tortoise. Applicants may request administrative costs, not to exceed 10% of the total project(s) requested. If administrative costs are requested, please identify them on the ApplicationSummary Sheet. Applicant: Gold Rock Outdoor Schools Inc.
*Applicants may request administrative costs, not to exceed 10% of the total project(s) requested. If claiming administrative costs, the percentage claiming shall be noted in the % box entitled "(G) Admin" above. The total amount of administration costs requested shall be indentified in column (G) above by project type. 1. Applicant: Gold Rock Outdoor Schools Inc. Under penalty of perjury, I certify that all statements made in this application are complete and accurate to the best of my knowledge and that the project(s) proposed in this application is/are consistent with applicable planning documents. I am the authorized to obligate the applicant to the contractual terms of this application. I authorize representatives of the Off-Highway Motor Vehicle Recreation Division to verify the accuracy of the information contained in this application as needed. "please click here to send us your comments"